As the success and growth of blockchain-based cryptocurrency have proven, the future will witness a decentralized, efficient, and comprehensive global ecosystem. At this juncture, I would like to present ARAW, a platform which eliminates the fundamental problems in the economy of e-Commerce and cryptocurrency. E-commerce platforms and existing reward schemes are highly saturated - every individual shop offers their own exclusive points system as a result of the massive growth experienced in the e-Commerce and commercial reward schemes. Additionally, customer acquisition is a serious problem given the difficulty for service providers to distinguish themselves from the competition. E-Commerce also severely lags behind other industries in cryptocurrency adoption. 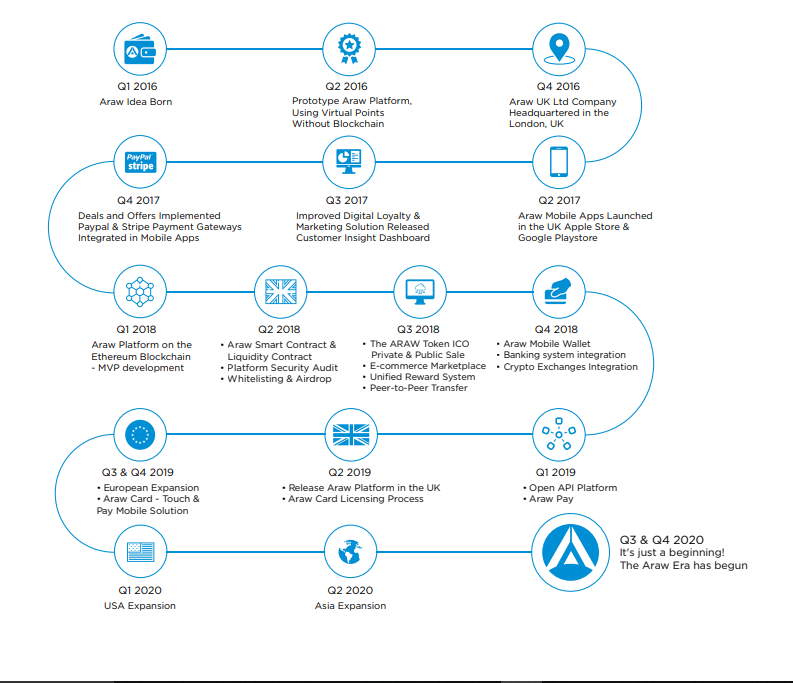 ARAW is an ecosystem with decentralized payment, based on Ethereum Blockchain, which seeks to increase the implementation of blockchain in everyday life around the world. 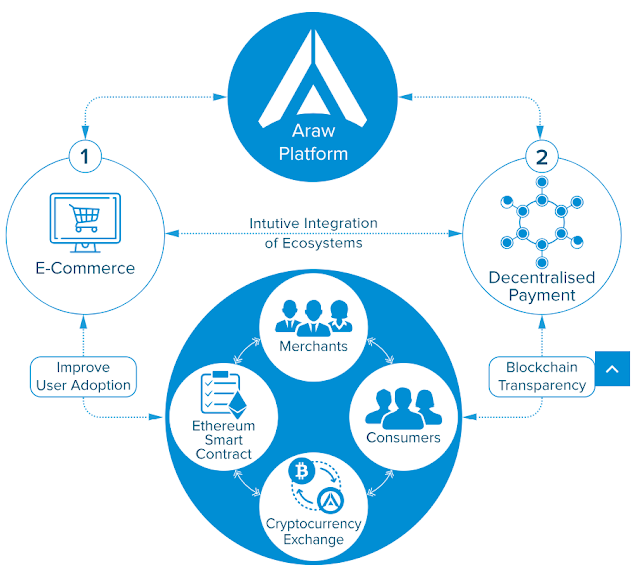 ARAW IS the first company in the world to combine the benefits of e-Commerce and payments industries; to provide end-product solutions for e-Commerce, Cryptocurrency Touch and Pay cards, online cryptocurrency payment and unified reward system on Ethereum Blockchain based on the ARAW token. The purpose of the ARAW token is to be a part of everyday online shopping. E-Commerce: The goal of the ARAW token to be a part of everyone’s day to day shopping without needing them to change their shopping behaviour. This can be achieved with simple and easy to use e-commerce website which is transparently integrated with the decentralized payment. 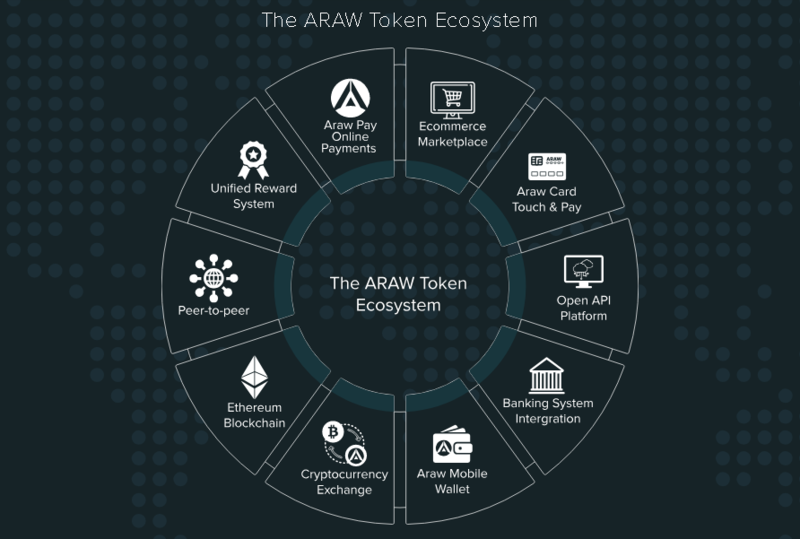 Decentralized Payment: The Araw platform will be a bridge between merchants, consumers, cryptocurrency exchanges, and the Ethereum smart contract that manages the liquidity of the ARAW token. “To be at the forefront of the global Blockchain User Adoption” by using intuitive and seamless integration of vastly used E-Commerce channel with the Decentralised Payment soregular people across the world can benefit from the cryptocurrency without needing them to change their shopping behavior or understand the complexity of the blockchain technology.